Trevor Greene was on tour in Afghanistan in 2006 when a teenage boy attacked him with an axe, cracking his skull and sinking the blade five centimetres into his brain. Greene was flown to emergency surgery in Germany where he defied the odds and survived, but not without a number of life-altering challenges: he was left unable to move, speak or walk. 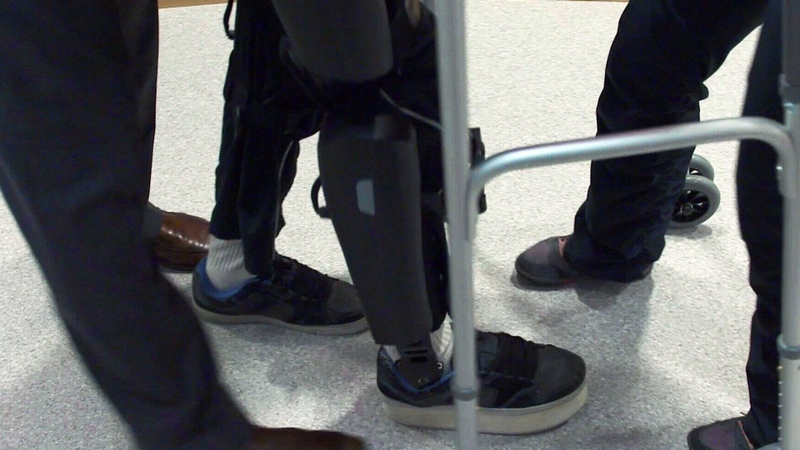 But after years of therapy and with the help of an “iron man suit” built by neuroscientists and engineers at Simon Fraser University, Greene is finally able to put one foot in front of the other. His ultimate goal: to climb to Mt. Everest’s base camp all on his own. The idea behind the suit, which is called an exoskeleton, is to help rewire Greene’s brain and recreate critical neural links that were destroyed in the attack. “We're hoping that by triggering some of the physical motion, that's going to help grow some new connections in the brain that aren't there now,” said Carolyn Sparrey, an assistant professor at SFU’s school of mechatronic systems engineering. And if anyone’s got the resolve to get there, it’s the ever-determined Afghan vet, Sparrey said. “He works so hard at this and he will train however hard we ask him to train,” she said. Exoskeletons work by supporting a person’s body weight and helping move joints at the knees and hips with a series of small motors. The SFU team is still tweaking Greene’s suit and guides help him as he walks. Greene says his willpower comes from a personal place. And while he’s making strides with the high-tech help, Greene says he considers it a temporary fix. “I hope to walk away from the exoskeleton,” he said. Greene’s story is well-known across Canada. 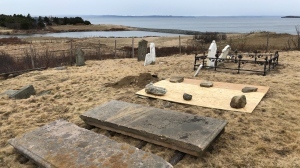 The 2006 attack was the subject of an award-winning documentary on CTV's W5, and Greene and his wife Debbie penned a 2012 book titled “March Forth” that chronicled their days and months together after the attack. 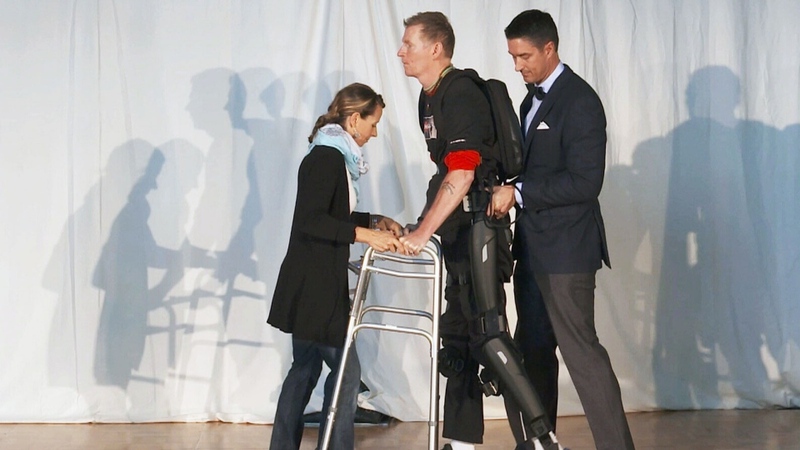 Trevor Greene, a Canadian war vet who nearly died after an axe attack in Afghanistan, is relearning how to walk with a state-of-the-art exoskeleton designed by engineers and neuroscientists at a B.C. university.